Jasmine is just as sweet as a glass of iced tea. Gentle and loving, she displays her affection through hugs and snuggles and the softest of kisses. And this 9-month-old Hound mix is a true beauty as well, with a lovely brindle and white coat, big brown eyes, and a face as pretty as a peach. 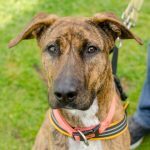 She likes other dogs, especially ones who have a gentle soul like hers and will join her in playing with her toys and stretching her long legs through runs around the yard. Jasmine is as charming and lovable as they come. 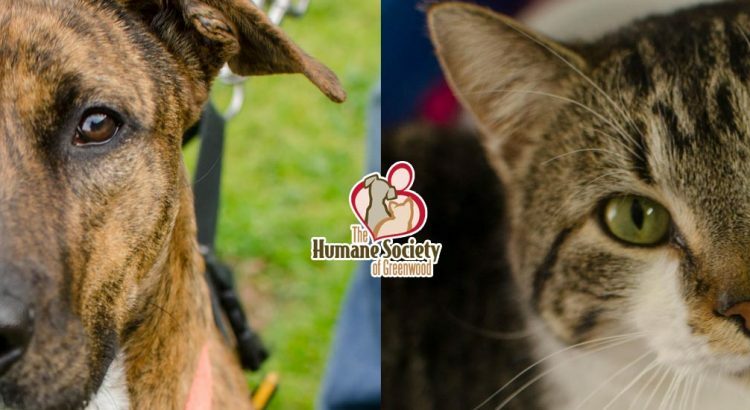 Adopt Jasmine and let her sweeten your life. 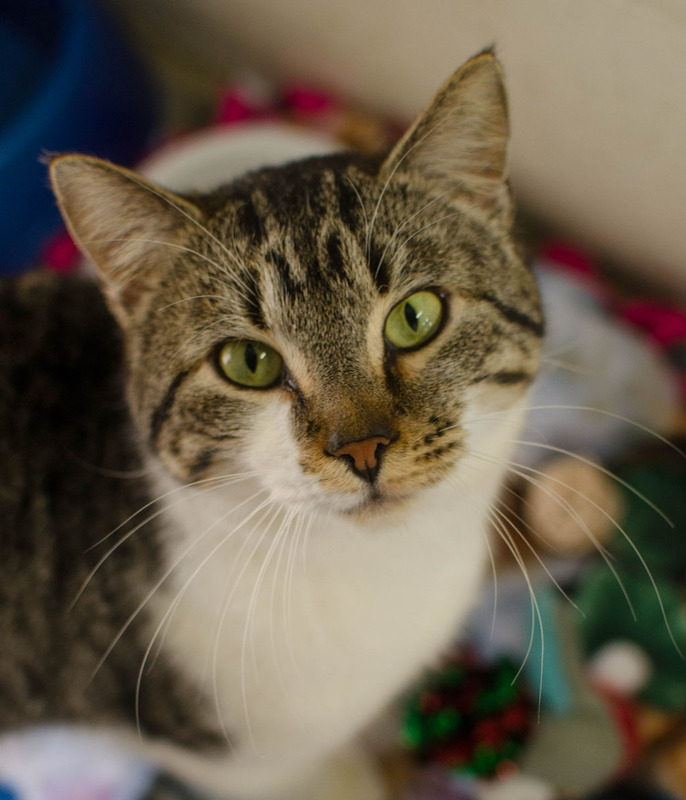 Baker is a handsome brown and white tabby who will steal your heart the moment you meet him. At two years old, he’s fully grown, and boy, is he grown. He’s a strapping fellow, weighing in at right around 12 pounds. 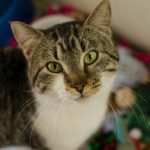 Baker is very laid back and quite charming, and when he’s in the mood to snuggle, he’ll curl up in your arms and hide his big head in your chest. He’s also a rather chatty fellow, so he’s looking for a home where he’ll be able to hold conversations with his people. Swing by the Adoption Center today to see if Baker is just who you’ve been looking for.